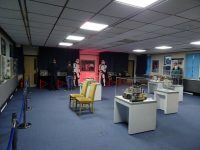 After its recent success at Leicester’s New Walk Museum & Art Gallery the May The Toys Be With You exhibition is squeezing in a week at the old Palitoy factory in Coalville. 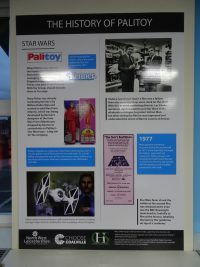 Returning to the town where Star Wars toys were first marketed and introduced to Britain, before as I understand it will be moving on to the Royal Albert Hall. 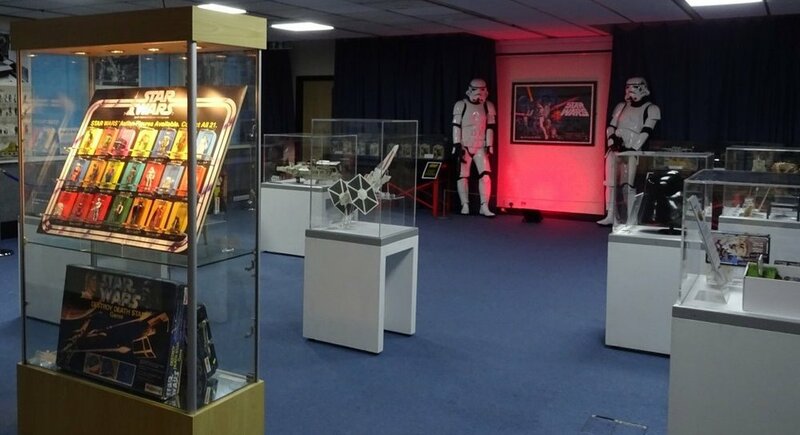 The free entry exhibition features more than 300 objects from Matt Fox’s personal collection of Star Wars toys, posters and memorabilia, some of which were made here at the Coalville factory. 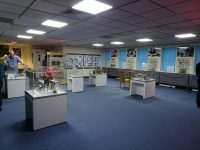 The North West Leicestershire District Council (NWLDC), with the support of Coalville Heritage Society and former Palitoy designer Bob Brechin has secured the exhibition for the town and it will go on display from Friday 2nd to Saturday 10th November, along with several other related events throughout the week. 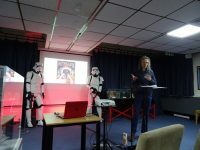 The event I attended was ‘Craig Stevens – Talking Star Wars’. 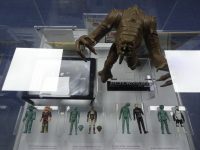 Craig, who is the author of The Star Wars Phenomenon in Britain and has contributed to TV programs such as BBC’s “I Love 1977”, Antiques of the Future, James May’s Toy Stories, Channel 4’s Mel and Sue, Friday Night With Jonathan Ross and many radio programs including Absolute Radio and BBC Radio 5 Live. 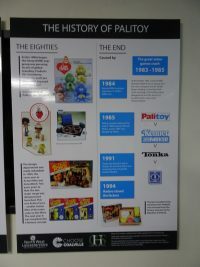 Arriving at the old Palitoy factory in Coalville, now the Heartwood Conference Centre, I browsed the exhibition while waiting for the event to start. 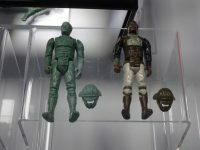 A recent addition to the collection since it was hosted at the New Walk Museum are five hardcopies of action figures from the Return of the Jedi line. 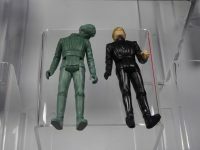 These are the master resins copies from Kenner in America that would be used to make the injection moulding tools in England. 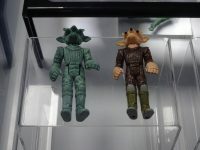 These were recently found in the loft of Roger Morrison (former Palitoy Tooling Manager) where they’d been forgotten about for years. 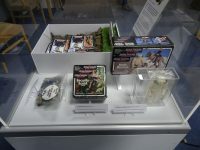 The detail on these hardcopies is incredible and they were displayed next to the final figures so you can see just how much of this detail is lost on the final product. 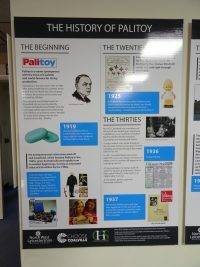 In attendance at the exhibition were Bob Brechin (former Palitoy Chief Engineer) and Brian Turner (former Palitoy Designer) who had been meeting and chatting with fans throughout the day. 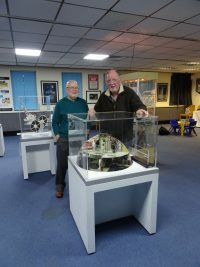 I spent some time chatting with Bob and Brian, enjoying listening to them recounting memories about their time working at Palitoy, telling me about the rare Death Star space station cardboard playset on display that Bob had designed. 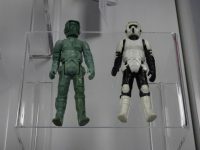 This was designed and manufactured by Palitoy for the UK market as an alternative to the more expensive plastic Death Star playset that Kenner were releasing in America. 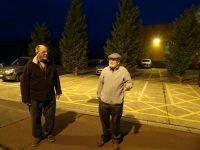 When the exhibition closed for the day and while the staff were setting up the seating for ‘Craig Stevens – Talking Star Wars’, Bob and Brian offered to give attendees an impromptu tour of the former Palitoy site which was a real treat. 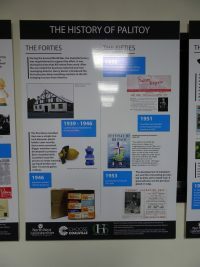 After the tour and coming in from the cold the staff offered us warm drinks and Craig began his talk. 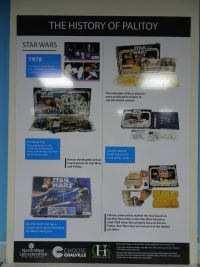 Craig was able to bring his book The Star Wars Phenomenon in Britain to life. 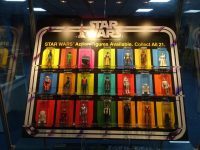 Taking us on a trip back in time to the theatrical release of each film from the Original trilogy, the build-up, anticipation and reaction to each of them along with the corresponding merchandising, media coverage and the excitement of the original Star Wars trilogy. 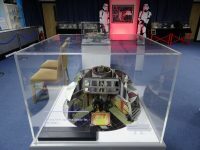 Craig manages to capture what it was like to be a British Star Wars fan at the time, having to wait so much longer to see the film than American fans, the buzz that built-up while waiting for it’s release and with the lack of home video, not being able to rewatch the films in between theatrical release. 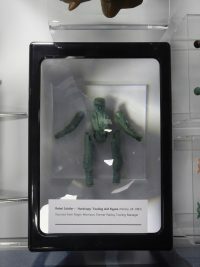 Instead having to rely on merchandise to retell the stories from a galaxy far, far away. 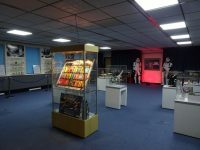 I believe Craig is hoping to hold his ‘Talking Star Wars’ at other events so follow his The Star Wars Phenomenon in Britain Facebook page for future dates. His book from McFarland Books is available from all good bookshops. 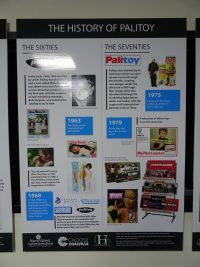 For a full list of events at the former Palitoy factory see the below link and keep an eye out for future events on other Palitoy brands such as Action Man and Action Force. 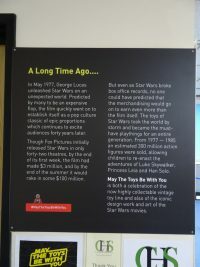 For more information on the May The Toys Be With You exhibition and future locations see its Facebook page.